One of the two projects approved at the inaugural GCFF Steering Committee meeting on July 28, 2016, in Beirut, this program began the process of bridging the gap between humanitarian and development assistance in international support for Syrian refugees and the communities that host them. 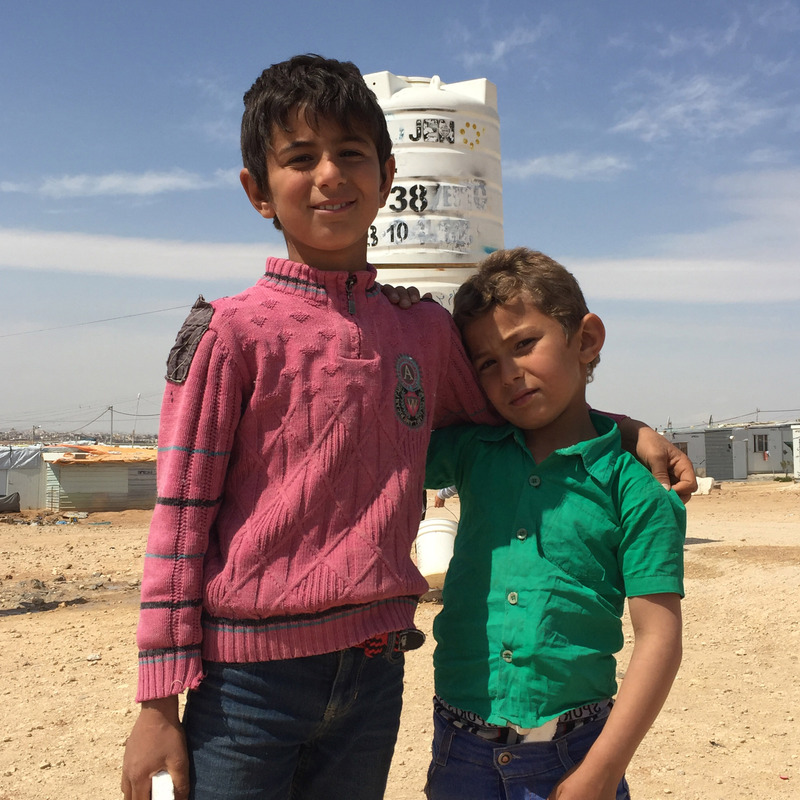 In so doing, the project aims to turn the refugee crisis from a drain on Jordan’s economy into an opportunity to help fuel the country’s economic growth. The $300 million program, which consists of both grants and loans with concessional interest rates, is helping to close the gaping government budget deficit brought on by the impact of the Syrian war and the influx of huge numbers of refugees. This is allowing the government, for its part, to move forward with three key reforms that are crucial to boosting the Jordanian economy even as the refugee crisis persists: 1) granting Syrian refugees work permits, 2) improving Jordan’s investment climate, and 3) attracting investments. 1. Labor market regulatory reform:The government aims to provide 130,000 work permits to Syrian refugees in Jordan through the program, mainly in agriculture, construction, manufacturing, retail, hospitality and food services. Over 55,000 have been provided to date. By allowing them to work in the formal sector, these permits enable refugees to be self-reliant and contribute to the Jordanian economy through increased productivity, income, and spending. home-based businesses, which can serve as key vehicles for female and youth employment. The program also includes a strong component of trade facilitation. 3. Investment promotion: The program provides support to the Jordan Investment Commission’s efforts to attract and retain investors. Targeted investments cover several sectors with export potential. These include manufacturing, agribusiness, and construction—the latter being key to the future reconstruction of Syria. Large investments will likely flow to special economic zones (SEZs), exports from which will benefit from preferential access to the EU. There are already several SEZs in Jordan, and they represent an important part of the country’s industrialization strategy. In Mafraq, for example, an area home to large numbers of refugees, the program is working to facilitate investments in the construction, logistics, and garment sectors, which will create jobs for refugees and Jordanians. Despite the strong potential of the program, further work is required to address concerns refugees have in certain areas, including the impact of work permits on their asylum status, transportation to jobs in the SEZs, childcare needs, and the desire for increased training. The program also aims to foster compliance with labor and environmental standards in the SEZs. Support for this program comes from the GCFF and a special International Development Association (IDA) allocation, at rates usually reserved for the poorest countries. access to key services, such as education, health, and housing, as well as economic opportunities.